Aspiring for public office is not an infatuation, neither is it a trivial hunch. As I see it, there is no aspect of human enterprise that deserves to be undertaken after reasoned forethought than that of offering to be a representative of the people. It is a noble call to serve humanity. It is my profound belief that everyone who aspires for such a venture, be it individually or collectively, has an obligation to conduct themselves with utmost dignity and integrity. Essentially, such aspirants ought to be upright, well above suspicion. These are the diligent traits which wise ruler, Caesar, treasured. He valued honesty and self-respect to the extent that he divorced his darling wife, Pompeio, on the grounds of her involvement in a public scandal, declaring that “my wife ought not even be under suspicion”. With the country now thrust in electioneering mode, my heart aches at the calibre of the generality of candidates who are clamouring for public office. There is wisdom and rationality out of the mouths of babes and sucklings than from campaign trails. Nothing credible is being said during rallies. It is a gross disregard of people to gather them only to trade accusations and counter accusations. The notion of ingratiation in which people sing and sloganeer in the name of party leaders is devoid of substance. It is irrelevant to delve on such propaganda fables as that of a train which President Emmerson Mnangagwa is said to have derailed. We have heard similar tales before, like that of former President Robert Mugabe having been deprived of virility while in detention, yet he later on fathered three children with his wife Grace. Stories of this nature have no relevance to the challenges confronting the populace. They, in fact, are inevitably refuted as was that of Joice Mujuru downing a plane. It was Christopher Mutsvangwa, who later disclaimed it to the satisfaction of all with ears to hear. What is at stake now is to offer well-reasoned strategies on reconstruction of the country. It is an insult to peoples’ intelligence to equate Mnangagwa to biblical Joshua yet they know full well that Joshua did not depose Moses. Given the prevailing all-round ruination of the country, one would expect sobriety to characterise the campaign discourse. There should be well thought out debate that resonates with logic on how best our country can be returned to her jewel of Africa status. Sadly, virtuous politicians are conspicuous by their absence. They are extinct, wholly out of circulation. As I see it, what now abounds is political opportunism, utterly devoid of sense of community, truth and justice, which are the bedrock of progressive civil society. Ancient wisdom has it that an heir does not inherit fortunes only, but disputes as well. With political heirs Mnangagwa and MDC-T and MDC Alliance presidential candidate Nelson Chamisa being shown defiance by members of their parties, it is true that those who inherit the crown, also inherit thorns. Despite being opposing parties, Zanu PF and MDC-T are similarly in dire straits. They are a bridge away from the dysfunctional zone, rocked by in-house squabbles. So intent and incessant is the bickering that neither party has the capacity to focus on nation building. It does not augur well for democracy that the two major parties failed to be democratic and reconcilliatory within their party rank and files. Their failure to run orderly and systematic primary elections is a stench whose odour casts aspersions on their leadership. With Mnangagwa openly confessing to watching in horror as party leaders went about rigging the primary elections, it is little wonder that Zanu PF is brazen as record numbers of cadres registered to contest harmonised elections as independent candidates. His failure to stem the tide on the onset of complains against irregularities was bound to haunt him, given that the rigging was overtly widespread. He had to summon Dutch courage to admit at the Masvingo rally that indeed, rigging was rife during the intra-party elections. His feeble threat of unspecified punishment on defiant cadres who registered as independent candidates fell on hearts resolved to rebel. His compromise on primary elections gave credence to the suspicion that he will act likewise in harmonised elections. It was ironic that Webster Shamu, who appeared to have been caught in possession of incriminating evidence of rigging, was stripped of his ministerial portfolio, only to be allowed to stand as a candidate in the elections. Despite his admission to watching the rigging in horror, Mnangagwa did not blow the whistle to halt the cheating. Most probably, he literally took what the late former Vice-President Simon Muzenda said about Zanu PF should the party field a baboon. He would not be bothered. It seems he regards all that comes from the river to be fish. Further, he also was not bothered by the statements of his two ministers whose utterances were plainly detrimental to the integrity of the upcoming harmonised elections. 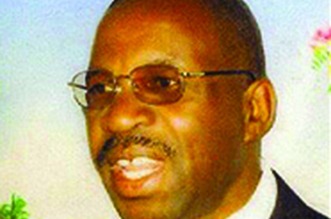 It never ceases to surprise how a leader whose credibility is suspect due his involvement in the military intervention that deposed Mugabe, did not sanction Finance deputy minister Terence Mukupe and Masvingo Provincial Affair minister Josaya Hungwe for their unguarded utterances. The net effect of these ungentlemanly events boils down to the fact that aspiring candidates for public offices, by and large, lack dignity and integrity. Their conduct does not breed democracy. They are not above suspicion, hence; do not meet the traits Caesar ascribed to. Sadly, most candidates who are due to compete in the harmonised elections did not earn their passage cleanly. They were either imposed, or they rigged the system. Obviously, there is no honour in such candidates. Like Pompeio, they are not above suspicion. What is evident on Mnangagwa, whose leadership has been accused of candidate imposition, among other acts of circumvention of democracy, is applicable in similar measure to his opposite colleague, Chamisa, whose ego is his Achilles heel. His deliberations, notably during the wrangling with Thokozani Khupe, was more speed and volume than thoughtful. He was implosive than contemplative. Given his pastoral training, Chamisa ought be meditative than hastily assertive. It is important for him to be percipient. With coalition partners complaining that he is taking a mile instead of a yard, Chamisa, so as Mnangagwa, are yet to endear with polemic commentators of my ilk. They have contributed to party splits and flurry of independent candidates, thereby cluttering ballot papers. As if the challenges emanating from main parties are not a threat enough to democracy, it is dispiriting that there is a whopping well over a hundred political parties. It staggers to imagine the irreconcilable differences that necessitate formation of a century plus parties. Only two presidential candidates have prospects of success. The rest could have better spent their money by donating to charity than to stake it in an election they lost long before entering it. If truth be told, they owe their support essentially to hangers on and relatives. Although it is within the constitutional right of every citizen to contest, as I see it, harmonised elections have invariably been mudded by too many to mention attention seekers whose candidatures clutter ballot papers, adversely impacting on democracy.